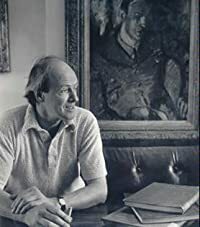 Roald Dahl was born in Llandaff, South Wales, and went to Repton School in England. His parents were Norwegian, so holidays were spent in Norway. As he explains in Boy, he turned down the idea of university in favor of a job that would take him to “a wonderful faraway place.” In 1933 he joined the Shell Company, which sent him to Mombasa in East Africa. When World War II began in 1939 he became a fighter pilot and in 1942 was made assistant air attaché in Washington, where he started to write short stories. Click here for more stories by Roald Dahl. Perhaps I should confess right up front that this review of what is popularly regarded solely as a children's book is being written by a 50+-year-old male "adult" who hadn't read a kids' book in many years. 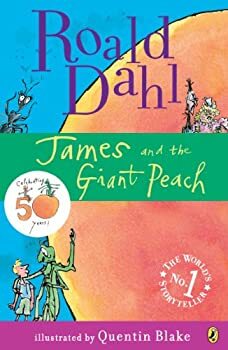 For me, Welsh author Roald Dahl had long been the guy who scripted one of my favorite James Bond movies, 1967's You Only Live Twice, and who was married for 30 years to the great actress Patricia Neal. Recently, though, in need of some "mental palate cleansing" after a bunch of serious adult lit, I picked up Dahl's first kiddy novel, James and the Giant Peach, and now know what several generations have been aware of since the book's release in 1961: that this is an absolutely charming story for young and old alike, with marvelous characters, a remarkably imaginative story line and some quirky humor scattered throughout.